The matter of underage alcohol abuse, clubbing and drinking has been a challenge to our society. Despite the challenge taking a central focus by the media, there lacks a proper integration process that offers solution and support. I am writing in regards to an article in the daily newspaper that focused on underage drinking. According to the article it is true that the behavior has become prevalent to college students and is taking root in high school students. The ability to curb a societal challenge involves having a clear understanding of the problem. As such, the solution lies in the ability to substantiate the problems. I conquer strongly with the verdict of the jury that laws should be enforced that address the issues of underage drinking. However, despite this, it is evident that these laws cannot fully address the issues of habitual drinking and clubbing among teenagers. There are a number of factors that lead to the habit. Evaluating this factors will pave a way to understanding the different approaches that can be enacted to solve the problem. Teenagers are emotionally triggered and easily enticed. Therefore, peer pressure has been cited as among the leading factors that result into teenagers abusing alcohol. It is the responsibility of parents to ensure that their children are in the best of their behaviors. However, with the increased hustle and tussle of daily life, parents have little to no time to spend with their children let alone understanding them. As a result, this children are left at the guidance of their teachers who spend just a fraction of their time with them. Personal issues and dangers of early clubbing and indulging in alcohol are then not addressed fully. Proper parenting is critical and essential to enhancing the growth and development of a child. As a result, it is the duty of every parent to ensure that their children are streamlined and grow in an environment that is regulated and does not result to addicts later in life. The issue of underage drinking has resulted to leaders calling for the intervention of the government to regulate the production, sale and distribution of alcoholic drinks. Despite how this move may appear to be bold and one that can address the challenge of underage drinking, the question of what is the duty of the parent still remains a mystery that has not been answered. 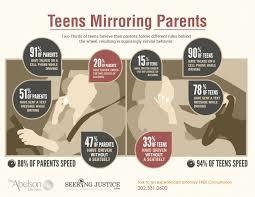 If every party in the life of a teenager play their role effectively, the issue of underage drinking can be resolved. Some parents are alcoholics and yet they expect their children not to follow their example. From a biological point of view, it is true that every child regards and emulates the behavior and characteristics of their parents. Therefore, setting a good example for the children is critical to eliminating early engagement in alcohol. Teenager need their parents to set examples in their lives. The teenage age is the most conflicting point in life with heightened emotions, feelings and a restless brain that is dedicated to curiosity. Engaging the teen in life experiences is critical to shaping the destination of their life and making them understand the dangers in some experiences. Despite the intervention of the government of how alcohol is being sold and distributed, parents should be in a position to regulate their children. Regulating the amount of money they give them for spending is a first move to reducing the problem. Other than this, parents should result into dialogue with their teenager children and address the issues they raise and burning and spending time to resolve these issues. This will ensure that the teenagers feel that their parents are involved in their lives. Other than this, I strongly believe that parents should further regulate what friends their children keep, where they hang out as well as what they watch. Not that I am addressing appropriate parenting but this are some of the basics that when put in place will reduce the challenge of alcohol abuse.